There is nothing better than when you find curriculum for your core subjects that really works for your family. But even when that happens there are times when you feel like you just need a little extra practice to reinforce concepts between the problems or exercises provided in your text. At this point, if we are honest, we weigh out the benefits of the extra practice with the effort of having to come up with what to have our children use. Our family just completed our last product review for the 2014 TOS Review Crew in using the supplemental Math and Language Arts resources from IXL. During this review, we focussed primarily on the 5th grade Math and Language Arts, but this on-line product includes supplemental Math practice and review for PreK through Grade 12 and Language Arts support for grades 2 through 8. The company’s website does mention that Language Arts support for grades 9 and 10 should be available soon. For this review, we were provided with access to the full range of both math and language arts resources for the grades available at this time. Our family utilized the Grade 5 practice sections for both subject areas. I also had an opportunity to log in and look to see what the content area looked like for the other grade levels that we were not using. The IXL products are designed to be supplements to what you are already doing with your main curriculum in this area. It does not replace your primary curriculum. This was an adjustment for our family when we first starting using it in that it was just odd that there was not a real teaching component. IXL was developed to help reinforce learning that should have already occurred whether your child is homeschooled or in public school. Yes, this is a tool that is also sold to public schools for use. For this reason, it is aligned with state standards. As a homeschool family, we generally tend to be very independent from our local school system, but I have to admit that when I was able to see my son performing well in IXL when doing the work aligned with the state’s standards for his grade level, I did have a bit of a sigh of relief. We are right where we need to be and maybe a bit ahead. Yeah! The scope and sequence of skills reviewed in both Language Arts and Math seemed to be thorough and on target for each grade level. Upon entering the section for each subject, the first screen shows all of the individual standards grouped in sections with very descriptive titles. This made it quite easy to identify right where we wanted to start our practice for the day. The IXL products are on-line resources. They are accessible through your family’s desktop or laptop computer with an internet connection. IXL also has an app available for mobile devices with internet connectivity for use when on the go. The subscription price for IXL is $79 per year for the first subject purchased and an additional $50 per year to add on the second subject for the first child in your family. If you wish to add on additional children, the cost increases by $20 per child. Families can also subscribe on a monthly basis at a rate of $9.95 per month for the first subject with an additional $2 fee for each additional child. The subscription is not tied to a grade level, so you can have your child work at whatever grade is appropriate for their current skills. As I shared earlier, we used this tool primarily with our son who is working at a fifth grade level in his normal curriculum. Our current Math curriculum uses a spiral approach to learning so there are days when I feel like some additional problems just on our new topic would be helpful. We found this to be an excellent use of the IXL resources. There were also days when we found ourselves on the go. Being able to take our iPad along, he was able to do some Math and Language Arts review in the car or while sitting at his sisters’ ball practices or games. With some verbal instruction from myself, there were days that we did cover new sections that we had not covered in his regular curriculum to keep progressing with our learning. If he got the answer correct after selecting the proper answer and hitting submit, it would greet him with “That’s Great” or “Right On” and then take him to the next question. The questions grew in difficulty as he progresssed through the question set within a topic. If he got the answer wrong, a review screen similar to this was provided. After reviewing, it took him to additional questions. I noticed in experimenting with the tool myself that when you entered back into the questions, it actually decreased the difficulty just a little so that the student would have success before hitting the more difficult questions for a second try. Once the student reaches a score of 100 accumulated points, it provide a Congratulatory screen and then takes them to their awards. As shown below, this screen slowly reveals different stickers on a grid as they accomplish additional skills. The students are also awarded ribbons along the way. The Language Arts section is set up very similarly to the math section. Allow me to provide a couple of screen shots from the Grade 5 Language Arts material as well. The way in which the questions increased in difficulty even within a specific skill was a real bonus in always pushing the student to challenge their current skill. Another challenge I had initially was my lack of confidence in knowing where to have our son start. There is no diagnostic tool within the IXL products, but this is because it is not meant for covering new material. The skills covered within each grade level truly do align with the corresponding grade level in most major curriculum so if your child is working at a fifth grade level, he should find consistency with the topics reviewed in the Grade 5 section. The wonderful thing is that he is not limited to just access Grade 5. If you feel that extra practice on Grade 4 materials to really build confidence is what is needed, travel back to Grade 4. If he is a child that is very self-motivated allow him to venture to new topics and the next grade level as a way of simply exploring and using problem solving skills to broaden his skill set. IXL really does do an excellent job of covering the breadth of topics covered in these core subject areas. As a supplemental tool with this scope and the ability to pick a specific skill set to work on, it gets a huge thumbs up from this mom. I loved the clarity with which the topics were labelled that made this even easier when we were on the go. Be sure to check out what our other Crew Members had to share in using all different grade levels of both the Math and Language Arts resources from IXL. 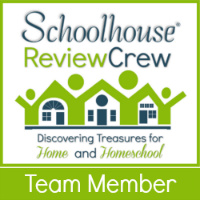 And yes, we are thrilled to announce that our family will be part of the 2015 TOS Homeschool Review Crew. This is our last review in 2014, but we will be back in 2015. In the meantime, be sure to visit to get updates on the farm, our schooling, and just the happenings with the Oaks and their growing saplings!